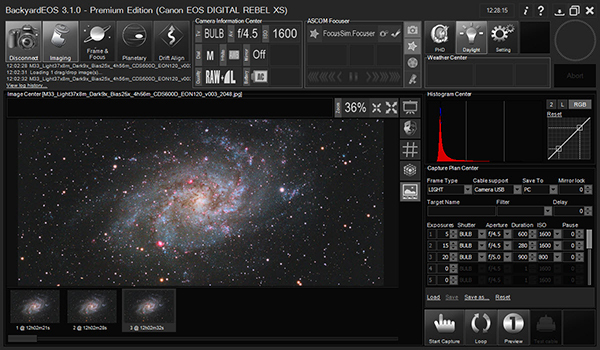 Astro Photography Tool allows you to remotely control a large number of the functions of your dSLR camera and to preview and enhance images directly on your computer. After installing camera drivers to your PC or laptop, you simply connect your camera to it using the USB cable supplied with your camera and then you can check things such as framing and focus before running a series of images at differing ISO and exposure settings. 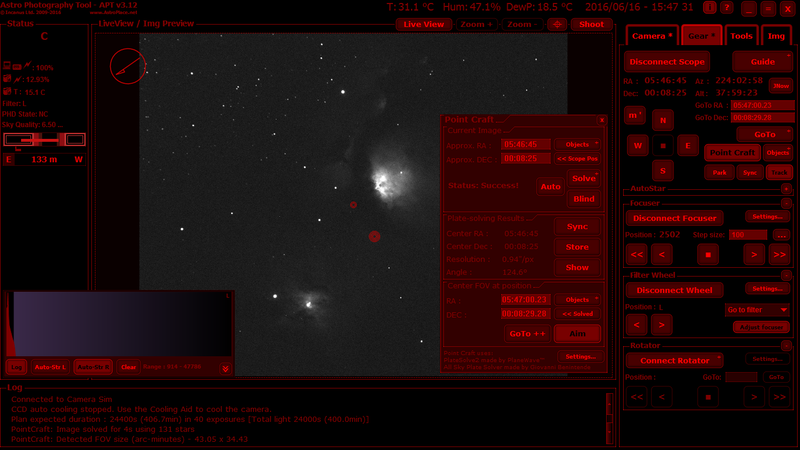 More information about this software can be found on the Astro Photography Tools Website. Astro Photography Tool can be downloaded from here - a free 'demo' version is available. 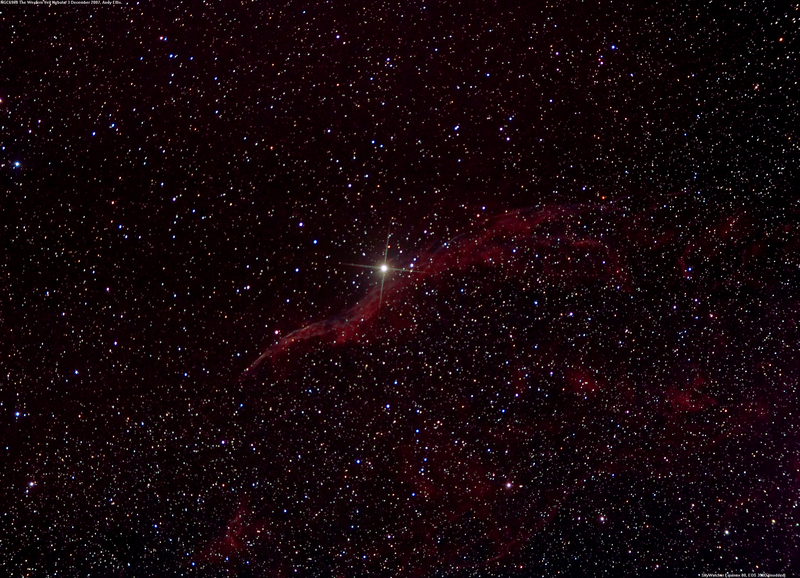 Astro Photography Tool Screen Shot. Backyard EOS has a very similar function set to Astro Photography Tool - it's really just a question of taste as to which you prefer. Personally, I have used both and find both do the job superbly. More information about Backyard EOS can be found on their website and there is a free trial version available for download here.